Jerry Lott a.k.a. Marty Lott, was born 30 January 1938, near Mobile, Alabama, and grew up in rural Leaksville, Mississippi near the Alabama border. As a kid he played country music on the school stage, which progressed to playing at Paynas Furniture Store in Lucedale, Mississippi. Jerry started entering and winning local performing contests, which led to touring, a familiar pattern to so many other artists on this blog. But in 1956 when Elvis Presley came along, Lott’s eyes were pried opened, and his soul was charged with rock and roll. Country music was now the yesterday sound. But Lott had written a simple yet sweet country love song, Whisper Your Love, which he says he spent a good 3 months putting it together. In the summer of ’58, Lott’s manager Johnny Blackburn, rented some studio time over at Gulf Coast Studios in Mobile, Alabama. Lott told Derek Glenister of New Commotion magazine in 1980, that someone had asked “What you gonna put on the flipside?”. Such was the naivete and innocence of the times, Lott had honestly never even thought about it. So he and the band shot form the hip on the B side! “Someone suggested I wrote something like Elvis ’cause he was just a little on the wane and everybody was beginning to turn against rock ‘n’ roll. They said, ‘See if you spark rock ‘n’ roll a little bit.’ It wasn’t any problem at all, and I wrote Love Me in about ten minutes”. Lott continues with his story…”Me and Johnny Blackburn worked the controls in the studio, as we didn’t want it to sound like a commercial record, that was for sure. I put all the fire and fury I could utter into. I was satisfied with the first take, but everybody said, ‘let’s try it one more time’. I didn’t yell on the first take, but I yelled on the second, and blew one of the controls off the wall. I’m telling ya, it was wild. The drummer lost one of his sticks, the piano player screamed and knocked his stool over, the guitar player’s glasses were hanging sideways over his eyes, he looked like he was hypnotized”. The result is a lusty explosion of animalistic energy, and if it had been 20 years later, you’d call hard punk! A monster was born on that day in ’58, and to this day, it still hasn’t lost any of that almighty fury! Clocking in at around 1.30 min., it’s a fast roller coaster ride through to the depths of rock ‘n roll hell, and it feels even with the frantic energy that Lott releases here, he is struggling to keep up with the manic “full steam ahead” drive the rest of the band are pushing out. But back then, wild got you nowhere without a record deal in your hands. Manager Blackburn sat on the tapes for more than a year, unable to clench any label interest. Lott, known at this time as The Gulf Coast Fireball, left Mobile for Los Angeles to shop his master tape around. Then one day, on a truly bizarre impulse, he trailed pop crooner Pat Boone to church one Sunday morning and convinced him to give the tape a listen. It sounds like Boone had now been converted or had some kind of other spiritual awakening soon after. 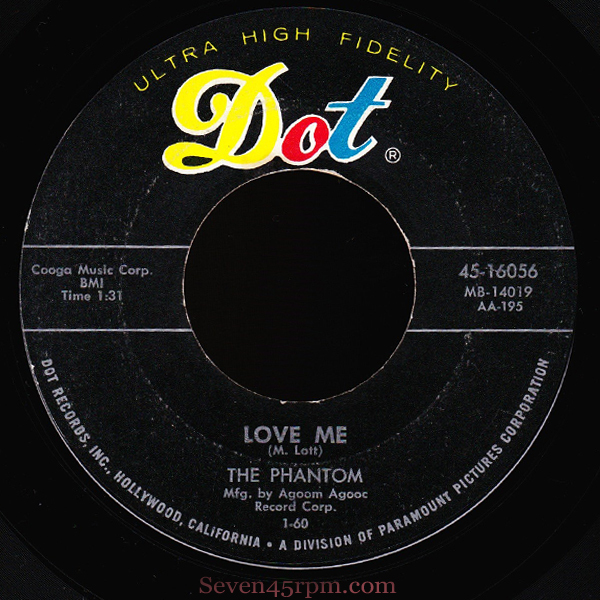 It was Boone’s idea to rename Lott The Phantom, and even agreeing to issue the record on his own Cooga Mooga label (an euphemism for God, as in Great Cooga Mooga). 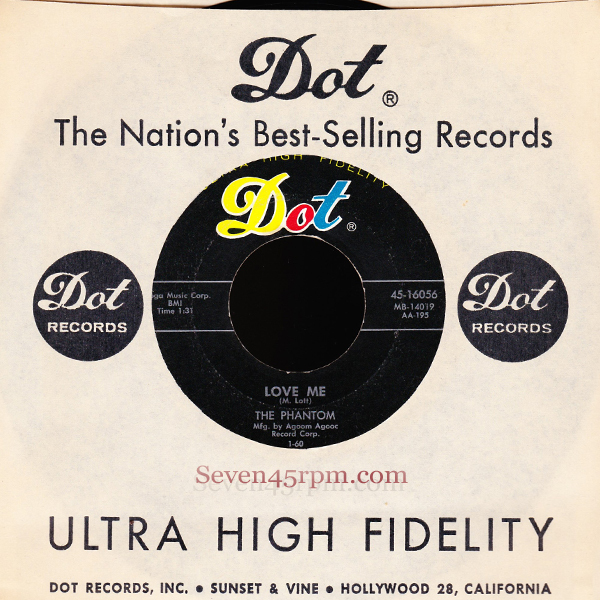 Eventually Lott signed a contract with Boone’s management but the single Love Me b/w Whisper Your Love was released on the label Boone recorded for, Dot Records in 1960 (apparently Lott never even met anyone at Dot). It was also released with a nifty picture sleeve, which normally was reserved only for the really big stars, and which I still have to get my hands by the way. The song Love Me was appropriately covered by The Cramps in the late 70’s and released on both the Drug Train 7″ in ’80, and on the Bad Music For Bad People Lp in 84. The raucous romp is so very suited for Lux and Co., as can be seen in early footage from June of 1978, when they played at the California State Mental Hospital in Napa, CA. But the deserved success story never really amounted for Lott, and in fact life instead, would soon drag him down into a darker chapter. Sadly in 1965, Jerry’s wife took her own life, and shortly thereafter, in 1966, while still attempting to tour, The Phantom was involved in a near fatal auto accident in York, South Carolina. After his car tumbled 600 feet down a mountainside he was left paralyzed below the neck. Lott continued to write songs, but he never recorded again. But you know what…plenty of “rockers” since, have been signed and have had deals, have hit the big stages and have recorded hundreds of hours of material, yet the majority, if not all of those songs, would crumble in fear if they came up against the wild young reckless animal that is Love Me! Jerry Lott passed away on September 4th, 1983 at the age of 45. 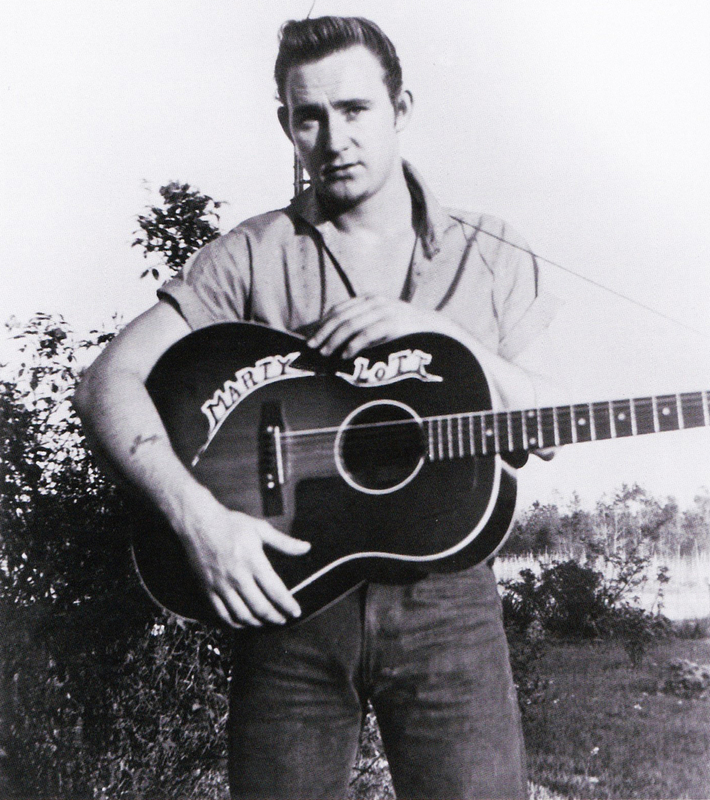 Rockabilly – The Twang Heard ‘Round The World – published 2011, Voyageur Press. This entry was posted on June 17, 2015 by seven45rpm. 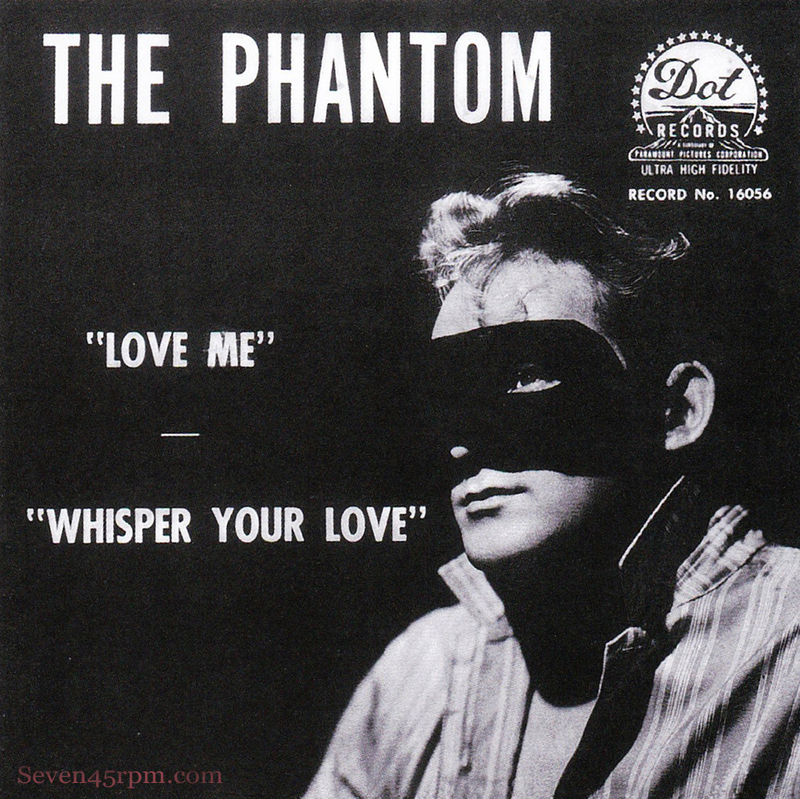 It was filed under Cool Cats, Rockabilly Country, Shakers and was tagged with 1960, Dot16026, Dotrecords, JerryLott, Loveme, MartyLott, rockabilly, seven45rpm, ThePhantom.